Journal Club. Agitated Delirium in Palliative Care: Does Haloperidol Need a Benzo-Boost? Participants must complete the exercise, the post-test questions and the online evaluation to receive credit. There are low palliative care referrals among hematologic malignancy patients. The goal of this CPE is to raise awareness among pharmacists of the unmet palliative care needs of hematologic malignancies. 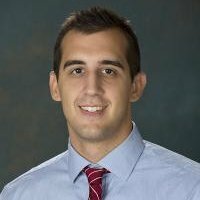 Brief Bio : Dr. Walczak is a PGY2 Resident at Riverside Memorial Hospital in Columbus Ohio. He completed his B.S. in Chemistry at Miami University (Ohio) and earned his Pharm.D. degree from The Ohio State University.